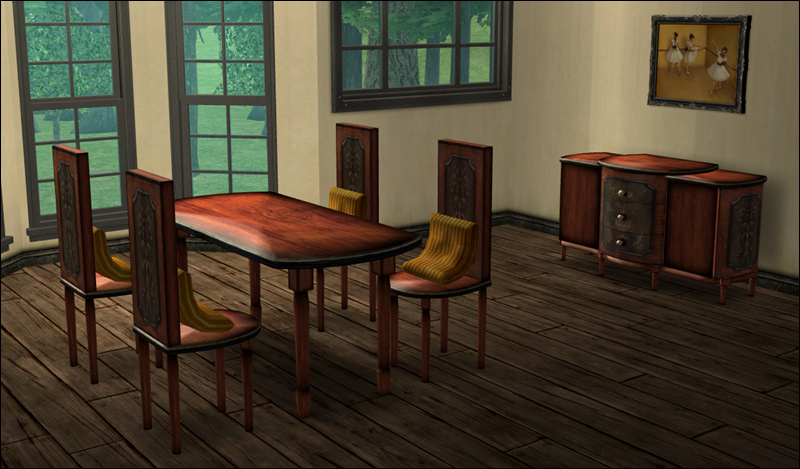 Complete dining rooms with matching and coordinating items. 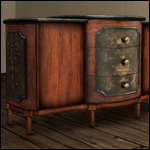 ALL ITEMS HAVE NOW BEEN UPDATED. If you had crashing issues before, please re-download. Added a collection file for catalog-searching ease. 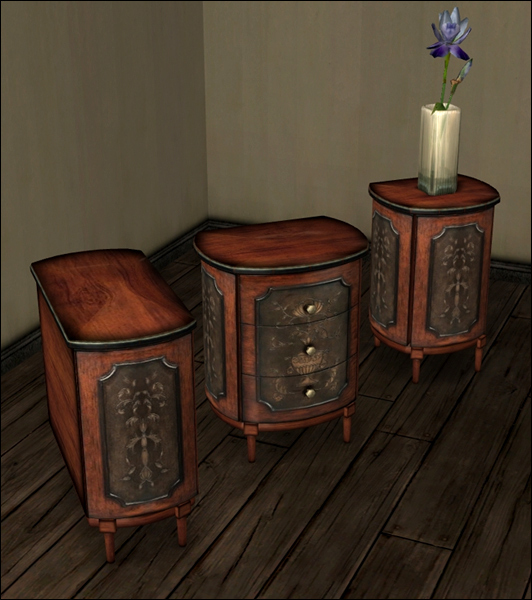 Comes with a dining table, dining chairs (with optional cushions), expanded cabinet, end tables with and without drawers, and a side table. Available in four flavors! 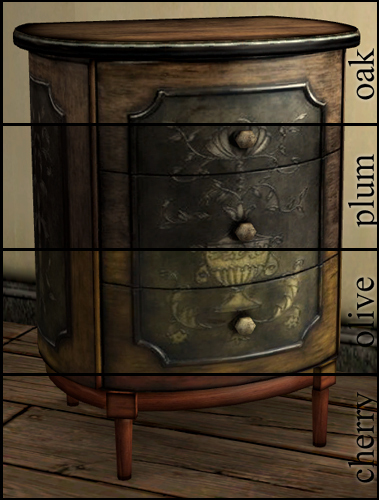 Set shares textures (expanded cabinet is the repository object) for easy recoloring. Also with more coordinating pillow options than you'll ever need, plus an invisible recolor if you're not a fan of seat cushions. P.P.S. Thank you all so much for the kind comments! You rock. 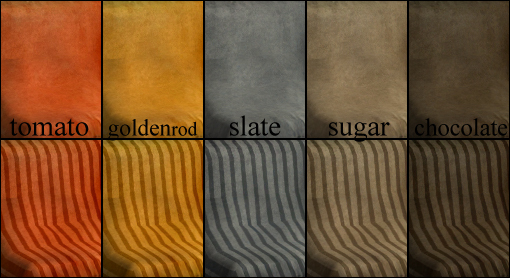 These recolours may or may not be endorsed by Adele.